Philipp Westermann is Head of Europe and a Partner of Proprium Capital Partners. Prior to joining Proprium Capital Partners as a founding team member, Philipp was Co-CEO and Geschäftsführer of Motel One, Germany’s second largest budget hotel chain. Motel One operates over 60 hotels with over 17,000 rooms generating 2017 revenues of more than €400 million and EBITDA of €120 million. Until 2010, Philipp was a Managing Director at Morgan Stanley, where he was European Portfolio Manager for Morgan Stanley’s Real Estate Special Situations Fund and headed the UK Real Estate Investing business. Philipp led a large number of transactions across Europe, including Motel One, the Walkie Talkie, joint ventures with Development Securities and NewRiver Retail, Chris Stewart Group, Admiral Taverns, Monthisa, GSG and Great Portland Estates. He has transacted in most real estate asset classes, including office, hotels, residential, and retail, in operating companies and entity level investments and across the capital structure, including non-performing loans. Philipp has served on the boards of several real estate companies across Europe and his current Board seats include Admiral Taverns, Chris Stewart Group, Monthisa Real Estate and Motel One. Before joining the Real Estate group, he worked for Morgan Stanley Capital Partners, the bank’s Private Equity division. 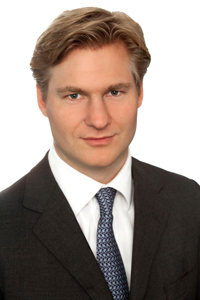 Prior to joining Morgan Stanley in 2002, Philipp was a Vice President at Lazard, where he spent seven years in Mergers and Acquisitions in London and New York. Philipp received a Bachelor of Science in Economics from the London School of Economics in 1995 and graduated from the Harvard Business School Advanced Management Program in May 2012.